I've been told I was not critical enough in my review, so I have added a sentence or two to this post in the spoilers section. Those of you who know anything about my reading habits can probably already see a Scalzi obsession forming. I have a reputation (mainly with myself...) for finding an author that I like, and reading most of their back catalogue. 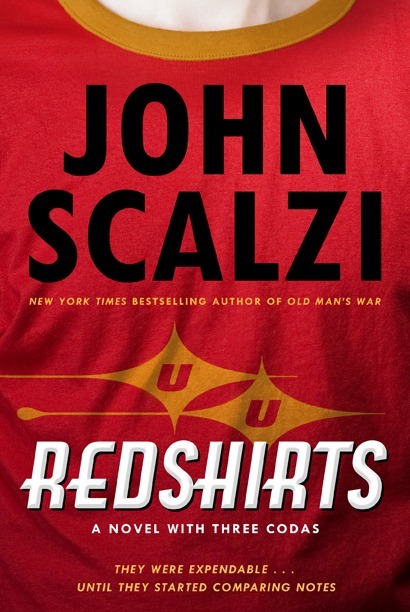 But this time, instead of reading on in the Old Man's War series (the next book is called The Ghost Brigades), I decided to go straight to his latest book- Redshirts. What would you do if you discovered you were expendable, an extra in a story that is simply using you for dramatic effect? Dahl and his crewmates decide to take action, to find out why their fellow ensigns aboard the Intrepid keep dying in ridiculous situations, and why, at times, the Captain makes decisions that take them directly into the path of danger and drama. Scalzi’s knack for presenting heavy ideas (in this case predestination, taking action against insurmountable odds, and being the protagonist in one's own story) in a light, often humourous, and enjoyable read is why I think I will carry on reading his back catalogue. If you enjoy this book, you might also like Scalzi's 'Old Man's War', and Connie Willis' 'To Say Nothing of the Dog' for more big ideas wrapped in a humourous, seemingly light read. Like what I did there? Remember TSNotD and how much I liked it? I genuinely believe that if you enjoyed that, you will easily see the same appeal in Redshirts. Now I look at it and think "there's not all that much more I want to say". Don't get me wrong, I am really excited about the book, but I don't think I want to pull it apart like I have most of the books I've reviewed on here (also, I'm writing this review a while after I finished the book and I have already returned it to the library!). So there are very few spoilers if you click on the picture below. Imagine how excited you'd be, after having graduated from space academy, to be stationed on the fleet's flagship. The Intrepid's xenobiology department is Dahl's very first posting and he couldn't be more eagre to participate in his first away mission. Now imagine how creepy it would be if the members if your department disappeared every time a command-level officer came looking for volunteers for away missions. Dahl finds his co-workers 'getting coffee', 'checking the storeroom', or.. well, hiding under their desks when the chief science officer needs assistance for a run of the mill away mission. Soon we learn that away missions are not opportunities to explore new worlds, to seek out new life and new civilisations... They are instead ways to boldly die where no man has died before. The ship's course is set by how much drama can be encountered along the way. The same decks are hit every time the ship is fired upon. People have random monologues. If you knew the bad guy at the Academy, you will die. If you are a command officer, you will not die of mortal wounds. People know convenient things about each other than they never knew they knew... The list of things that make Dahl, and others, think that there's something screwy going on on the Intrepid is obviously longer than Scalzi had time to detail. A chance encounter with a hermit (yup, space ships can have those too), enables Dahl to find out what is going on - they're on a tv show. That's right, they don't exist outside of the imagination of several writers, producers, directors, and actors. Dahl and his friends kidnap one of the command-level 'characters', jump through a wormhole, and end up in our present day, intent on stopping the tv show at all costs. I liked this part of the book the best. Most of the characters meet themselves, which is cute and trippy, and there is a lot of running about without pants, gate crashing night clubs, and kidnapping. But the two things that will stick with me are Dahl's visit to the actress who played Jenkin's wife, and how they manage to convince the show's director to cancel it if he could have his son back. Okay, so here's the critical bit, and I'll be brief, the book tended to drag a little in places, and lacked the action one would expect from a 'bad science fiction show'. But as I say, the writing almost completely makes up for this. Also, there are three 'codas' at the end of the book. I had to return it to the library before I could finish these, but I did read a little of the first one and it made no sense to me. It didn't continue the story, but instead seemed to be a portion of the story from another person's perspective (remember I didn't read it all, so I can only judge by what I did read). A friend read this book on my recommendation and she insisted I include this little critique because she thought the codas were terrible. I will get the book back out one day, and read them, and let you know! Scalzi is skilled in writing stories about realistic characters that react to imaginative situations in a way that we could see ourselves reacting. He creates a detailed world around the characters that is believable - the suspension of disbelief is not a stretch for his books. He does all of this with humour, as I mentioned in my previous post about Old Man's War, and so it is never a chore to read his books - they seem light, but the heavy ideas are there. 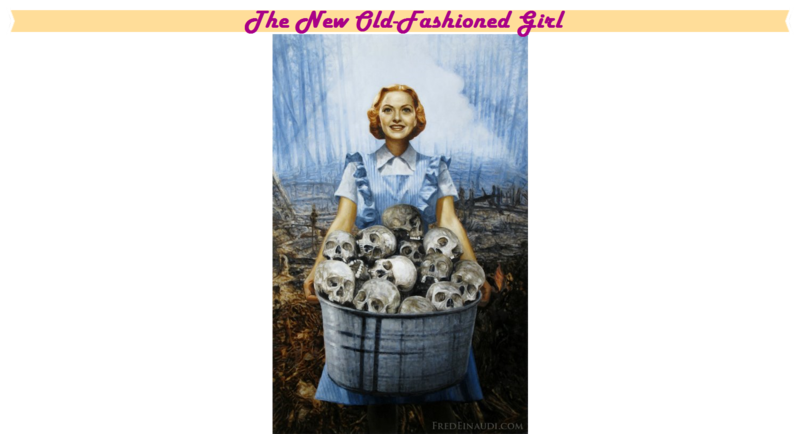 In Old Man's War, ideas about the role of the military and the reaction of the human psyche to warfare, as well as the ethics and ramifications of cloning and post-humanism, were all explored but never forced and rarely brought to the foreground of the story. In Redshirts, ideas about predestination and control over one's own life, taking action against insurmountable odds, and being the protagonist in your own story are covered - albeit a little more obviously. Still, info dumps are not Scalzi. Yes, I'm basing this on reading two of his books, and yes I could very well prove myself wrong when I go on to read the next one, but I do doubt it. Okay, spoiler-free now. I know this review is not as well put-together as (I think) the others have been, and I have no real excuse other than writing it in pieces and only now putting them together about a month after finishing the book. I shall try to be good next time - I'm currently reading Ready Player One by Ernest Cline.